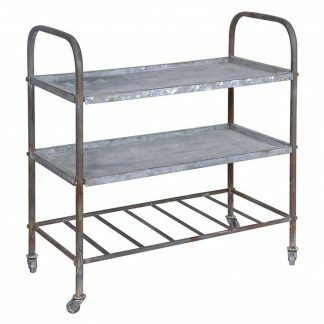 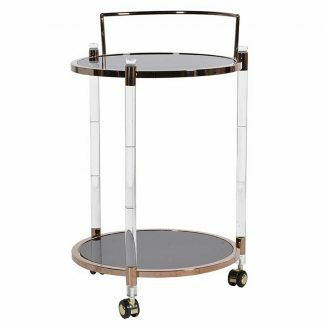 You’ll find dozens of uses for this modern serving trolley. 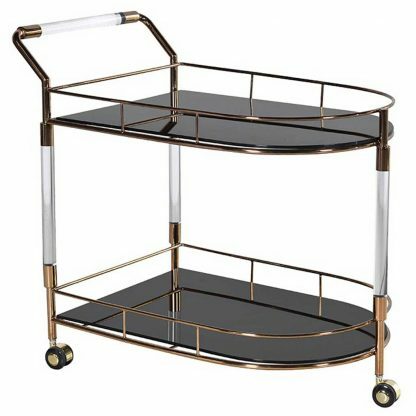 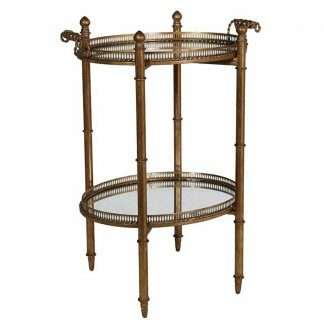 This trolly features two glass shelves for transporting your items from the kitchen to the dining room and vice versa. Made from brass, metal and glass for long-lasting beauty.